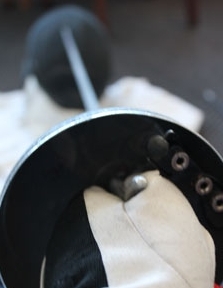 For beginners, the first step is to contact Swords Fencing Club to book an introductory course. Instead of rigid, set dates, we offer introductory lessons throughout the year. These consist of four, half hour sessions, scheduled for your, and the instructors, convenience. During these sessions you will learn all the basics of fencing, including: footwork, and how to manoeuvre with an opponent; the use of the sword; how to attack and defend; the use of equipment (all necessary equipment is provided for beginners). Swords Fencing Club is committed to valuing diversity, and to promoting and implementing equality of opportunity in all its activities. Whenever possible, the Club will make reasonable adjustments to support and respond flexibly where there is a clearly identified requirement from individual members with a disability/additional support needs. Please let us know if you may require such support when you are considering joining the club. If you want to begin on your own, or with a friend, we will always be pleased to see you. Please contact the club if more than four people wish to start together. Once a starting date has been confirmed, we ask for the course fees upfront. We accept online payments. After completion of the course, you will be invited to join Swords Fencing Club, to take your fencing to the next level. All equipment will be provided for beginners on a course. Please contact Swords Fencing Club to book your lessons today.